A full Osteopathic hands on treatment tailored to each individual case. Osteopathy is a diagnosis system and treatment for various different medical conditions. Osteopathy looks at the structure and function of the body. 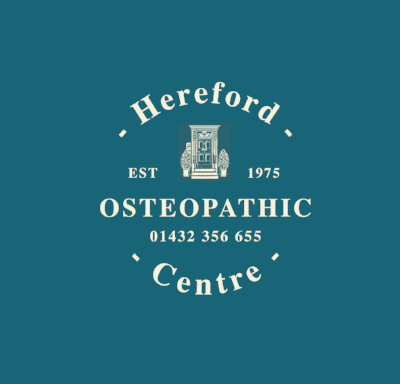 Osteopathy is centered around the principle that the well-being of an individual depends on the skeleton, muscles, ligaments and connective tissues functioning smoothly together. Osteopathy can treat many health concerns below are some that have reported beneficial change. Patients seek treatment for a wide variety of conditions all of which we address, by preventing pain and restoring function & movement. Sarah graduated from the College of Osteopaths gaining the John Brown Memorial Award of which she is enormously proud. She has practiced around the world including Harley Street, Ischia in the Bay of Naples and the Cotswolds. Having lectured at Oxford Brookes and Swansea University’s where she was also admissions tutor, an educational approach drives the way Sarah practices. Sarah equips her patients with the knowledge that enables them to understand how their body's work and manage any health related issues. Steve is a graduate of the British School of Osteopathy and has worked in practices in both the U.K and Dubai. He is a structural based osteopath who looks at how the muscles and skeleton interact with each other and applies his knowledge to help with the bodies overall well-being. Steve also uses “Dry Needling” which is acupuncture in the Western form of medicine and “Kineseo Taping” to help in the overall process of healing. He also holds FIFA’s Diploma in Football Medicine. On average most patients require a minimum of 3 treatments and a maximum of 8. We are always happy when patients do not need to return however we recommend a yearly check in once you've returned to full health and movement to ensure maintenance.